New frame pad for 4.60 m trampoline. > Spare parts>Trampoline spare parts>Frame pad>15ft Premium black frame pad 460 30mm/41cm. 15ft Premium black frame pad 460 30mm/41cm. Is your trampoline's frame pad damaged? This model can replace it to ensure maximum security. 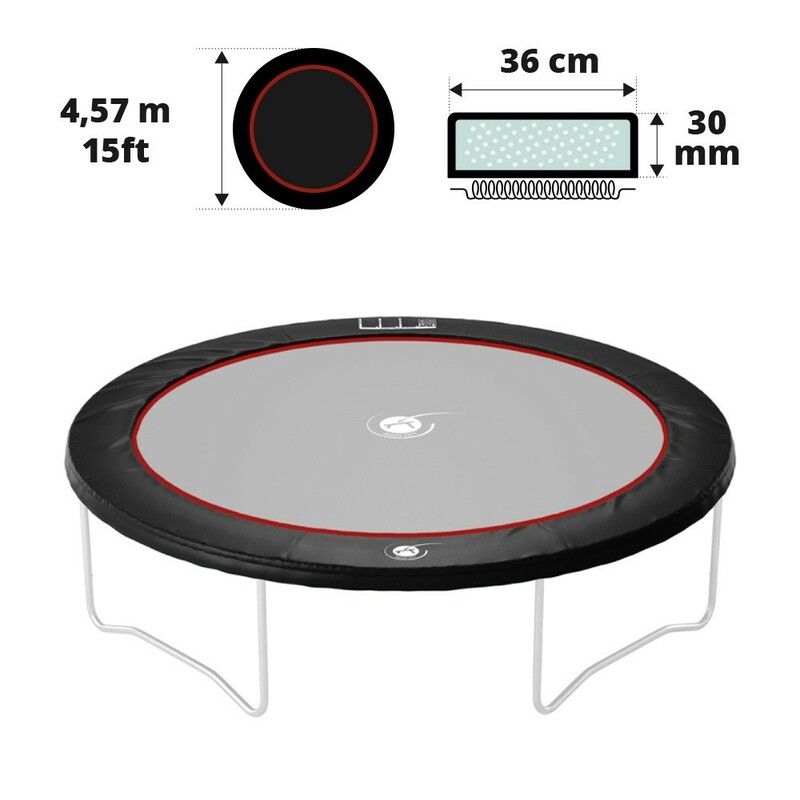 It comes in black and is suitable for round trampolines with a 4.6 diameter, whatever the brand! - For round trampolines with a 4.57m diameter: equipped with 230mm long springs (hook to hook). This frame pad originally comes with our 15ft. Black Booster 460 trampoline.